James Michael Sheehan was born at Clinkers Hill, Castlemaine, in central Victoria, on 24 July 1885, son of Michael Sheehan, blacksmith, a native of Limerick, Ireland, and Ellen, née Firminger. Jim, as he was called, attended St Mary’s Catholic school until, at the age of thirteen, he was employed on the Victorian railways. Under the influence of local railway unionist, Tom Hendra, Sheehan became an activist in the union movement. He joined the Political Labour Council soon after its formation in 1901, and helped found a branch of one of the early country unions in Victoria, the Rural Workers’ Union. He worked for the Water Commission at Nyah, near Swan Hill, in 1910, but then moved to Melbourne where he found casual work with the railways and tramways, finally securing a position at the Jolimont railway yards. Around 1916 Sheehan met John Cain, future Labor premier of Victoria, who introduced him to the Victorian Socialist Party, where he came under the influence of Frank Hyett, Bob Ross, Maurice Blackburn, Joe Swebleses and John Curtin, and soon launched himself into the anti-conscription campaign. With Cain, Curtin and others, he addressed open air crowds on Sundays—at Williamstown and Port Melbourne in the mornings, and at the Yarra Bank in the afternoon—warning of the dangers of enforced enlistment in a war driven by capitalism. He became an organiser for the Victorian Railways’ Union and a delegate for the union’s Ways and Works branch. His task was to ascertain the mood of workers in the country districts of Victoria. He later became an organiser with the Australian Railways’ Union, and during the 1920s a union delegate at ALP conferences. He travelled widely in rural Victoria. In 1930 he was elected to the central executive of the Victorian ALP, a position he retained until 1953. He served two terms as vice-president (1938-40) and one term as president (1940-41). He was also a delegate on the Trades Hall Council in Melbourne, and served one term as president (1943-44), the fulfilment of ‘a long-cherished wish, namely, to reach the highest industrial position in the State’. Sheehan had put himself forward for preselection in 1928 and, at the general election of December 1931, stood unsuccessfully as a Labor candidate for the Senate in Victoria. Narrowly missing preselection in 1937, in July 1938 he was elected at a joint sitting of the Victorian Parliament to fill the casual vacancy caused by the death in January of his friend and fellow member of the central executive, Senator-elect John Barnes. As Barnes had not yet taken his place in the Senate, the question arose as to whether a casual vacancy had arisen within the terms of section 15 of the Australian Constitution. Former Senator T. C. Brennan, defeated in 1937, threatened a legal challenge which never materialised and the point was not tested. A noted orator, Sheehan spoke on the causes to which he was devoting his life, calling attention to the shortcomings of arbitration and the basic wage, and the persistent problem of unemployment. He readily defended the ALP against accusations of harbouring communists by swiftly returning the charge to the other side of the chamber: ‘But what breeds communism? What are the reasons for its existence in this country?’ It was, he said, ‘the unsatisfactory conditions obtaining in industry . . . which encourage the rising generation to search for a new system of government’. He signalled his opposition to various defence measures put forward by the Government. He thought proposals to alter the system of preferential voting, organising Senate ballot papers by party groups rather than alphabetically, only a marginal improvement on an undemocratic electoral system for the Senate. Defeated at the general election of September 1940, Sheehan immediately left the Senate, under the terms of the casual vacancy provisions of the Constitution. At the election of August 1943 he was successful. In the meantime he continued to work in Labor’s rural interests. In his presidential address to the ALP conference in January 1941, Sheehan advocated the decentralisation of industry and argued for increased industrialisation after the war, recommending that manufacturing centres be established in country towns. He took his place once more in the Senate in July 1944 with Labor holding a majority in both houses for the first time since 1916. Sheehan hoped that ‘as a result of the influx of virile personalities this chamber will discharge the functions . . . which the founders of federation hoped that it would fulfil’. He gave his wholehearted support to the Chifley Government’s legislative program, especially on such issues as constitutional change, postwar reconstruction and the nationalisation of banking and of Australian National Airlines and Qantas Empire Airways. He wanted security for ‘our people from the cradle to the grave’. In 1945 he led the Australian delegates at the first session of the Inland Transport Committee of the International Labour Organization in London, which discussed the ‘rehabilitation of transport in Europe’. During this time he realised a boyhood dream by visiting Ireland. At Cork he was honoured with a civic welcome and a tour of the city. The defeat of the Chifley Government in 1949 may have dampened Sheehan’s immediate hopes for the Labor Party, but it did not make him less ardent in his ideology. He attributed the Menzies Government’s electoral success to its cynical manipulation of the electorate. He gave regular lessons to the Senate on Labor’s contribution to the nation in banking, wheat marketing and defence, was critical of the Government’s failure to address inflation and thought its social welfare measures niggardly. He supported the Government only when it was Labor policy to do so, as with its national development legislation. An advocate of road safety, he backed federal funding for roads and was a member of the select committee on the subject (1959-60). 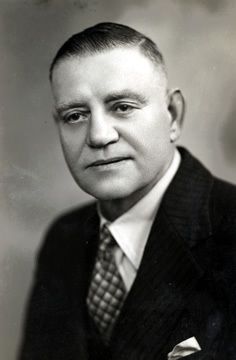 For much of the 1950s he served as Labor’s Senate spokesman on the production and marketing of wheat. Like many other members of the Labor Party, Sheehan was anxious to distance himself from the excesses of the Government’s anti-communist legislation in 1950, while articulating Labor’s opposition to communism itself. Loyal to Labor policy, in the end he had to agree to let the bill through, simply attributing it to government hysteria. Sheehan became a member of the 1950 Select Committee on the Constitution Alteration (Avoidance of Double Dissolution Deadlocks) Bill. In the election that followed the subsequent simultaneous dissolution Sheehan once again regained his seat. Although identified with the Catholic right wing of the ALP in Victoria, Sheehan was regarded as a moderate during the party’s internal struggle of the 1950s, articulating sympathy neither for communism nor for the more extreme positions of the Industrial Groups on the right. He defended the parliamentary party’s stance on the Communist Party Dissolution Bill against the groupers in the Victorian central executive in 1950, and was involved in an attempt by the Trades Hall Council to restore its influence on the central executive in 1953. While supporting Senator Cole in his spill motion against H. V. Evatt’s leadership of the Labor Party in October 1954 (probably out of sympathy for Labor’s deputy leader and fellow Victorian Catholic, Arthur Calwell) Sheehan remained loyal to the ALP when the party split in 1955. He did not stand for election in December 1961, but earlier that year went to London as a delegate to the Commonwealth Parliamentary Association Conference, also visiting Italy, Canada and the USA. In 1951 Sheehan had been elected to Castlemaine Town Council, serving continuously until his defeat in 1965. He was mayor from 1957 to 1958. He never married, but shared much of his commitment to the labour movement and municipal affairs with his sister Nellie, with whom he lived for many years at Clinkers Hill. Nellie was secretary of the Castlemaine branch of the ALP for some years, and a local councillor (1942-59). In 1954 she became Castlemaine’s first woman mayor. She also served as mayoress during her brother’s term of office, and worked as his private secretary until her death in 1959. Both were honoured at civic ceremonies held in 1966. Outside politics Sheehan was fond of races, cricket and football. He was a loyal member of the Richmond Football Club, serving as vice-president for seventeen years (1940-57) and in 1950 was made a life member; he was also a member of the Richmond Cricket Club. His work in reuniting, in Australia, immigrant families from Italy and Greece led to long-standing friendships with Italian and Greek communities in Melbourne. He was deeply interested in education, serving on the University of Melbourne Extension Board and the Victorian Education Committee. Sheehan died at Castlemaine on 10 April 1967, aged eighty-one, survived by his sister, Ethel, and brother, Francis. Requiem Mass was celebrated at St Mary’s Church, Castlemaine. The Castlemaine Mail reported the sentiments of C. P. Stoneham, Leader of the Opposition in the Victorian Parliament, that while ‘many had differed from his political views, [Sheehan] had earned their respect because of his interest and sincerity’. Another tribute came from Trades Hall Council secretary, Mick Jordan: ‘His knowledge of the needs of the worker had been given freely in the interests of all classes’. Sheehan’s papers are held at the University of Melbourne Archives. Biographical notes, Merrifield Collection, MS 13045, SLV; Castlemaine Mail, 11 Apr. 1967, p. 1. Memorial speech, A.C.J. committee meeting, 2nd May 1967, Merrifield Collection, MS 13045, A.E.T. 82, box 22, SLV; Recorder (Melb. ), June 1976, pp. 8-9; Labor Call (Melb. ), 9 Feb. 1922, p. 7, 1 May 1930, p. 10, 4 June 1953, p. 1, 21 Apr. 1938, p. 5, 20 Apr. 1939, p. 1; Argus (Melb. ), 18 June 1940, p. 5; Labor Call (Melb. ), 10 June 1943, p. 7. Labor Call (Melb. ), 3 May 1928, p. 10; Argus (Melb. ), 30 Nov. 1931, p. 10, 14 Dec. 1931, p. 10; Labor Call (Melb. ), 21 Apr. 1938, pp. 1-2; Argus (Melb. ), 13 July 1938, p. 1; CPD, 27 Sept. 1938, p. 223; Argus (Melb. ), 14 July 1938, p. 1, 15 July 1938, p. 3, 29 July 1938, p. 8. CPD, 11 Apr. 1967, p. 693, 21 Sept. 1939, pp. 894-8, 14 May 1940, p. 745, 14 June 1939, pp. 1794-9, 8 Sept. 1939, pp. 289-91, 30 Nov. 1939, pp. 1780-2. Argus (Melb. ), 17 Oct. 1940, p. 4; Labor Call (Melb. ), 11 July 1940, p. 9, 30 Jan. 1941, p. 1; CPD, 18 July 1944, p. 80, 11 Apr. 1946, pp. 1403-8, 3 Dec. 1947, pp. 3039-43, 24 July 1945, pp. 4400-4, 2 Aug. 1945, pp. 4890-6, 18 June 1948, pp. 2349-50, 21 May 1947, pp. 2647–8; Argus (Melb. ), 22 Nov. 1945, p. 2; Cork Examiner, 25 Jan. 1946, p. 2. CPD, 15 Mar. 1950, p. 765, 23 Sept. 1953, pp. 227–9, 25 Feb. 1958, p. 30, 18 Mar. 1953, p. 1214, 30 Mar. 1960, p. 361, 15 Mar. 1951, p. 528, 4 Aug. 1954, pp. 22, 24, 28 Feb. 1962, p. 241. CPD, 30 Nov. 1950, pp. 3391–4, 5 June 1956, pp. 1212–16; CPP, Select Committee into Road Safety, report, 1960; CPD, 20 Oct. 1953, pp. 670–3, 19 Oct. 1956, pp. 786–8, 17 Nov. 1959, pp. 1566–9, 30 Mar. 1960, pp. 360–4. CPD, 31 May 1950, pp. 3424–30, 18 Oct. 1950, pp. 958–64; CPP, Select Committee on the Constitution Alteration (Avoidance of Double Dissolution Deadlocks) Bill, report, 1950; CPD, 21 June 1950, pp. 4612-17, 5 Oct. 1950, pp. 331-2. Kate White, John Cain and Victorian Labor, 1917-1957, Hale & Iremonger, Sydney, 1982, p. 85; Robert Murray, The Split: Australian Labor in the Fifties, Cheshire, Melbourne, 1970, pp. 86, 122, 137, 191-2; SMH, 8 Apr. 1955, p. 1; Age (Melb. ), 9 Apr. 1955, p. 1; Castlemaine Mail, 11 Apr. 1967, p. 1. Castlemaine Mail, 25 Aug. 1951, p. 1, 30 Aug. 1956, p. 1, 29 Aug. 1957, p. 1, 31 Aug. 1965, p. 1, 28 Aug. 1942, p. 1; Labor Call (Melb. ), 22 Oct. 1942, p. 6; Castlemaine Mail, 2 Sept. 1954, p. 1, 21 July 1959, p. 1, 19 Apr. 1966, pp. 1, 2, 7 June 1966, p. 1, 11 Apr. 1967, p. 1; Labor Call (Melb. ), 29 Mar. 1951, p. 5. Castlemaine Mail, 11 Apr. 1967, p. 1, 13 Apr. 1967, p. 1; Leslie Haylen, Twenty Years’ Hard Labor, Macmillan, South Melbourne, 1969, p. 57; Sheehan Family Papers, 75/75, University of Melbourne Archives. This biography was first published in The Biographical Dictionary of the Australian Senate, vol. 2, 1929-1962, Melbourne University Press, Carlton, Vic., 2004, pp. 149-152.